According to the World Cup schedule, the final will take place at Luzhniki Stadium in Moscow at 6pm local time (10pm Thai time) on July 15. 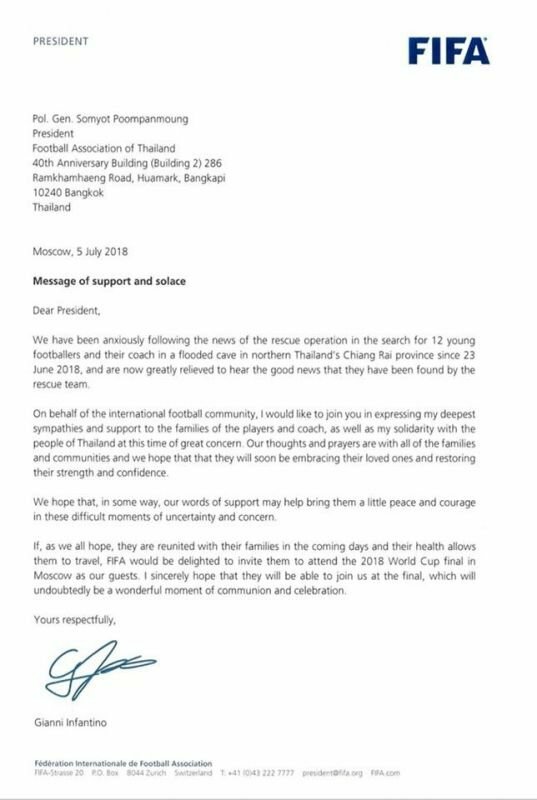 The FA Thailand Facebook today (July 6) posted a copy of the letter dated July 5 from FIFA president Gianni Infantino to Gen Somyot Poompanmoung, president of the Football Association of Thailand. 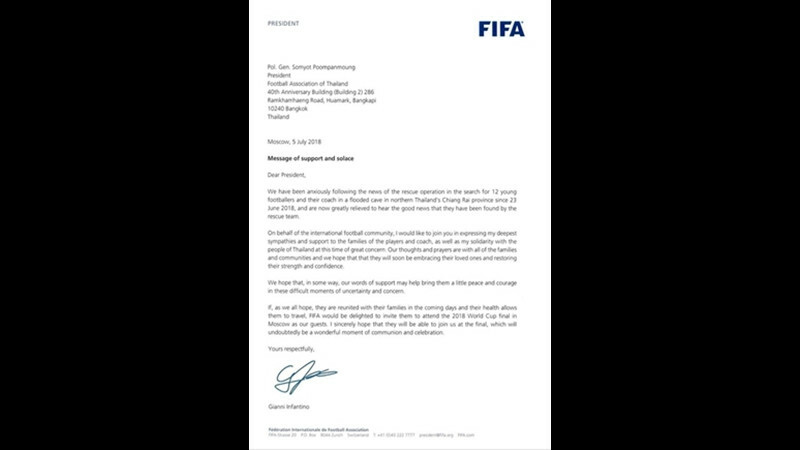 “If, as we all hope, they are reunited with their families in the coming days and their health allows them to travel, FIFA would be delighted to invite them to attend the 2018 World Cup Final in Moscow as our guests,” Mr Infantino wrote. FIFA said it had followed the news on the rescue operation of the 12 boys and their coach since June 23. It also extended sympathy with the boys and the coach and solidarity with all Thais for a successful operation.